I am just going by what I was told by the man I bought it from. I am not really sure myself I will get some pictures of the identifying Mark's later. 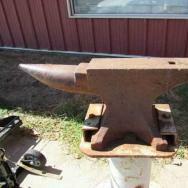 I'd be cautious about other things they say as few "london pattern" anvils were European made. The UK is in europe. 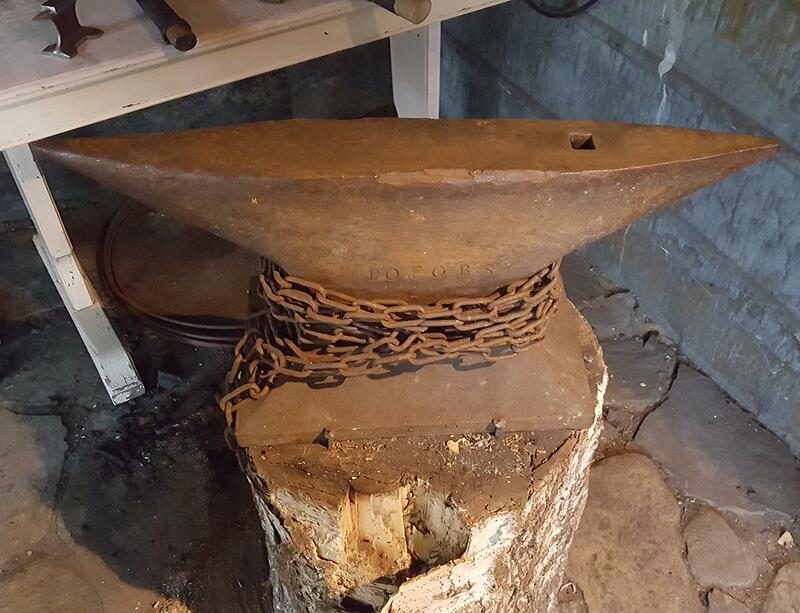 I think we would be safest if we amended TP's statement to "few 'London-pattern' anvils were made in continental Europe." True but we'll still talk to them, heck I'll talk to almost anyone. I got around to brushing off the foot from the last page. There's a stamp on the side, all I can really see is are large letters OME and then below it is a faint diamond shaped stamp with what looks like outlines of some letters, but it's really really faint. 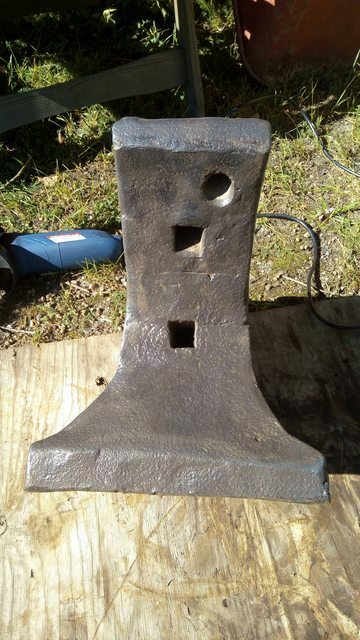 I got a old Bofors Anvil from 1835 that my ancestors worked on in a iron foundry or iron works is maybe the right word, I found on a site this guy close by was selling it for 2000kr which is around 200Usd like 12 years ago maybe, I got the whole story behind where it came from hes fathers father or father i don't remember exactly, but he bought it home after they closed back in 1892 i believe and I also found out we where related, as well as had more relatives working in the iron works at the time. 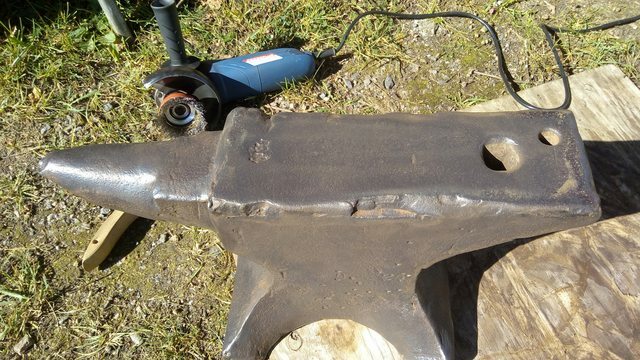 it is a bit banged up, think someone been cold forging on it after it left the iron works for a few years reason it has chipping but could also be damages not caused by it being over 180 years old. 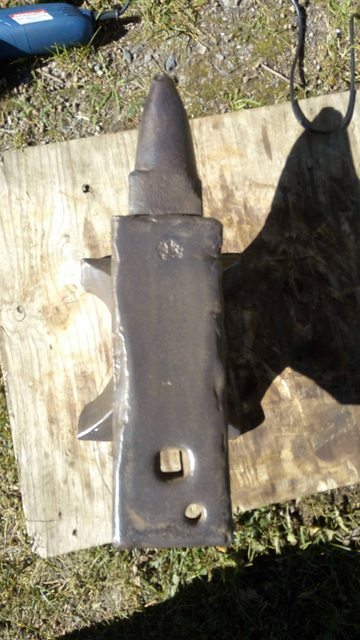 The man i bought it from was around 70 or so, really strong guy, he lifted the anvil into our car by himself so fast I didn't have time to help him, compared to when I got home later it was tough for me to carry it into my smitty and on top of my birch stump not a problem for me but man it was felt heavy, but he lifted it like it was nothing, admire that kind of strength. 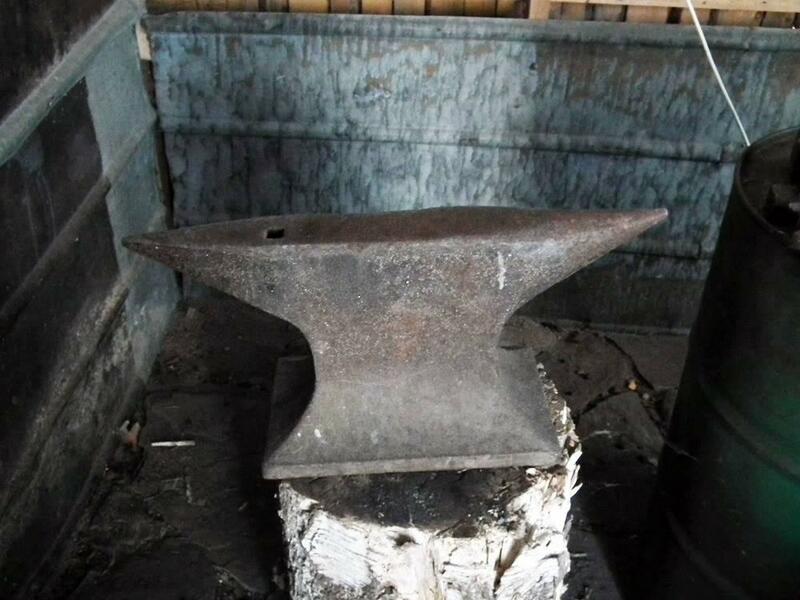 I love my anvil, will cherish it for the rest of my life. 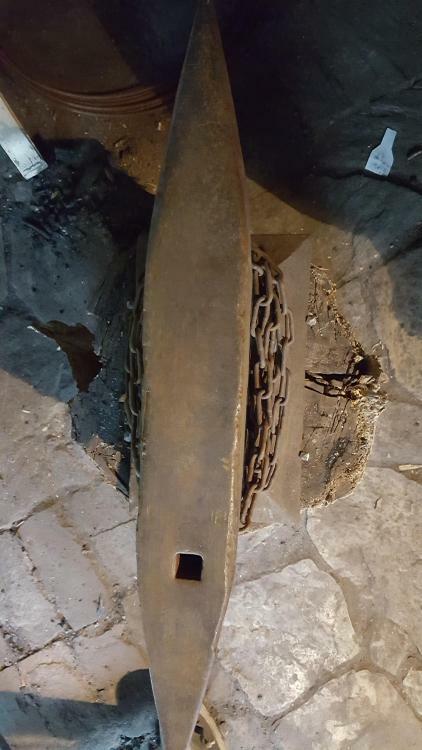 It weighs 93kg (roughly 205 pounds) dont worry this is a old picture of it probably from when I bought it, it is secure now. 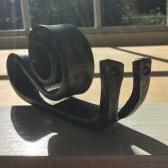 Not going to try to renovate it i will leave as is. 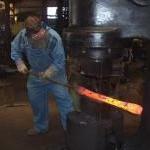 Pounding red hot steel on it's face is all it needs! Zrognak, love that anvil. Bofors...hmmm. 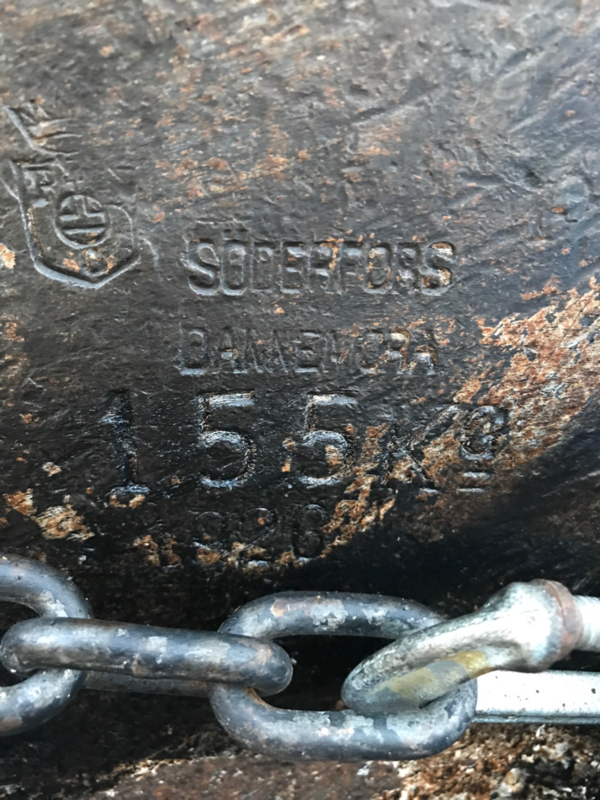 There’s an old Swedish anvil manufacturing company named, Söderfors. Attached is a photo of a modern version, 1926. Would love to see more pictures. I'll bet he's heard of Soderfors. He may live relatively remotely but Sweden really isn't a THAT big country. 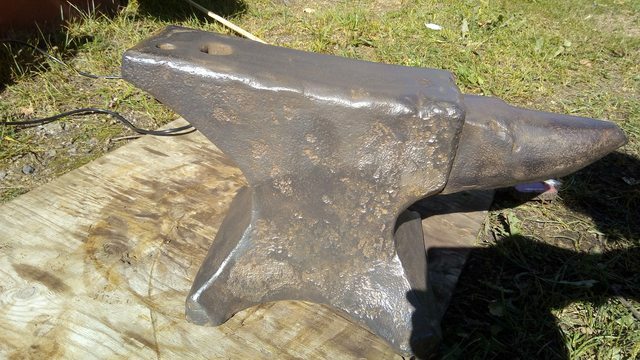 NoName that is Awezome, yea I heard of em, they made good anvils, never gotten my hands on one but I live in Sweden so it is just a matter of time, that one you got there is a nice weight 155kg real good weight, and it is really cool that one made it all the way to where you live, that is quite the trip for an anvil. Frosty indeed Sweden is a really small country, a long country but still small. 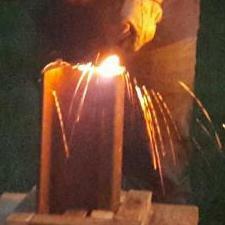 Ill take some pictures when I go down to the forge later today. 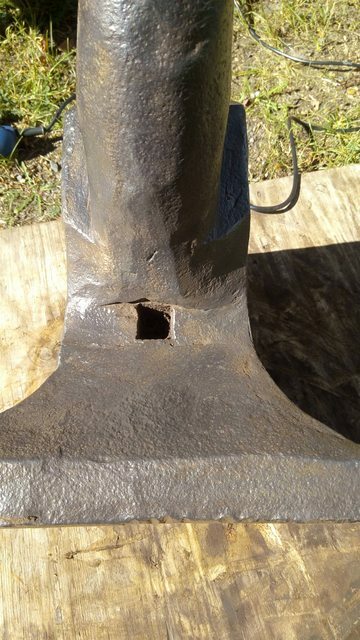 Some face damage, awful torch mark near the horn. Still rings beautifully, no buzz even at the damaged areas. Quick check resulted 75-80% rebound all over. Wire wheeled this thing for two hours, and it smelled like it was stored in a pigsty! The edges are a bit worrisome in places, but I'll let them be for the time being. 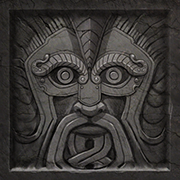 Amassing some forging experience before modifying the poor thing is probably the wisest move. 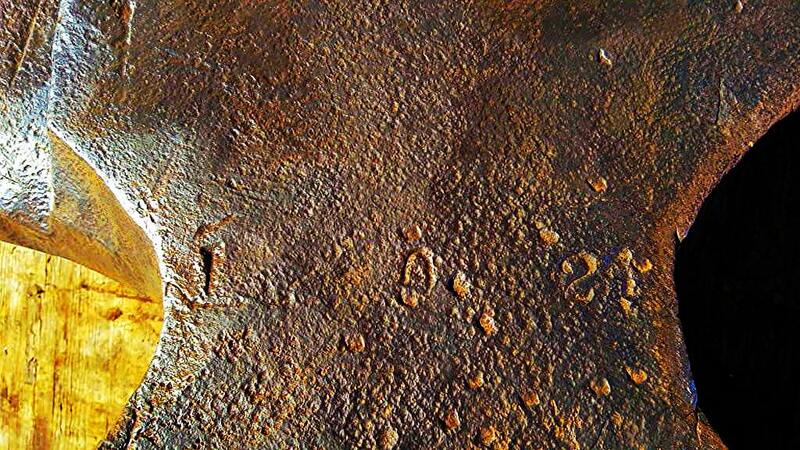 I read that as a possible 1 - 1 - 24 (the center "1" being somewhat damaged; in the photo it looks rather like a "0"), which in the hundredweight system would be 164 pounds. Do you have a clearer photo of the numbers? 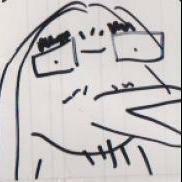 I forgot to curse the subpar image quality! Edit: image looked a lot clearer on my computer but is a complete mess on my phone... Oh well. The middle number would never be a nine. The hundredweight system is hundredweight (112 lbs) + quarter-hundredweight (28 lbs) + pounds, so that middle number will never be higher than 3. In this photo, it looks more like 1 - 0 - 21, which would be 133 lbs. There's always the possibility of a mis-stamp, where a careless apprentice read the scale wrong or grabbed the wrong number stamp. 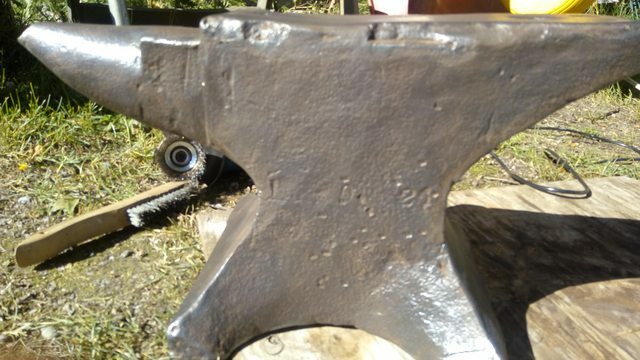 The fact that this is a no-name anvil rather than a well-known manufacturer might increase that possibility, although I freely admit that that's supposition on my part. 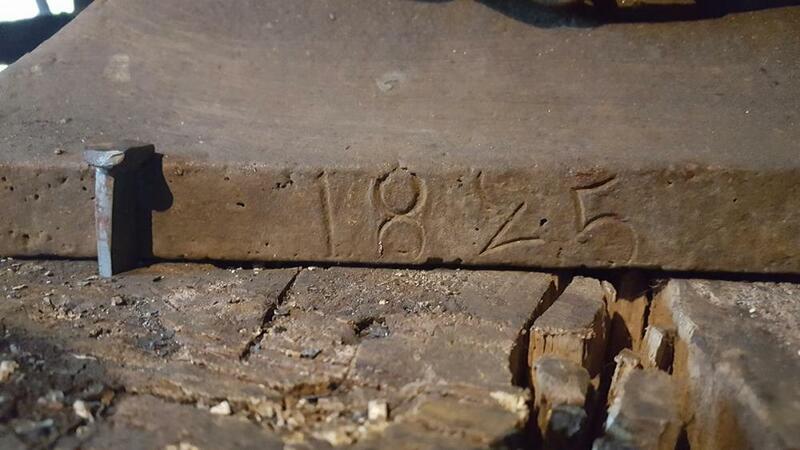 Hundredweight stamps are frequently off by up to a few pounds, but a thirty pound difference is unusual. 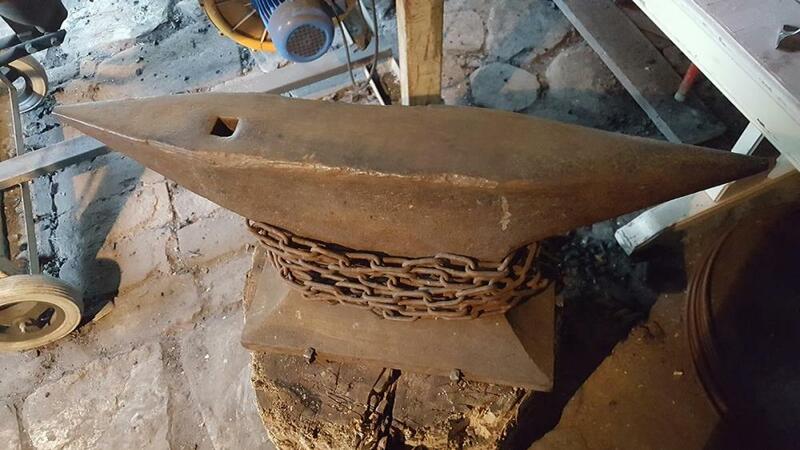 Maybe your anvil started eating a lot of fatty foods once it moved out of its parents' house. 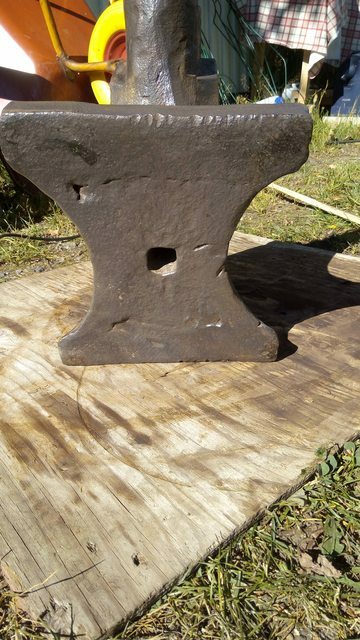 Here are some more pictures of the anvil. Thats a really neat anvil Zrognack! 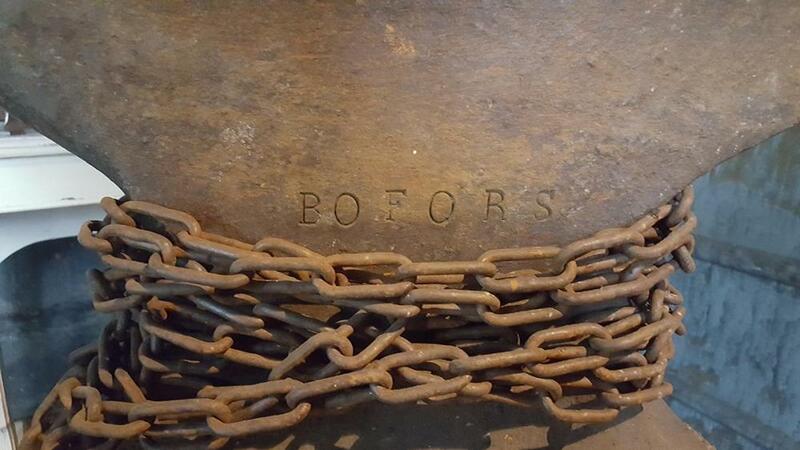 The Bofors company was founded as a royally owned hammer mill in 1646 and still exists as an arms manufacturer. Im Swedish and I didn't know that, that is pretty cool. I knew the name from their 40mm gun that was widely used on both sides of WWII (Sweden both being officially neutral and having a well-established armaments industry). The rest I learned from a little online research. I knew the name from their 40mm gun. That is really cool, thanks for sharing.